We’re TOE-tally excited to announce that our Barefoot Wine Beach Rescue Project is back for a 9th year in the UK. We are partnering once again with our friends at Surfers Against Sewage who work tirelessly to protect the UK’s oceans, waves, beaches and wildlife and invite our Foot fans and members of local communities to come down to their favourite beach and help us make it Barefoot Friendly! To add even more excitement to this year’s project we’ve added a touch of competition to this event – the ‘Scales of Gra-TOE-tude’ – a giant set of scales which will pop up on the beach! The team that collects the most amount of litter on the day will be awarded with a bottle of their favourite Barefoot Wine. Our FOOT-tastic volunteers really are the most important part of making this project a success so don't miss out on your chance to roll up your pant legs and help out! All cleans run from 2pm to 4pm followed by a celebratory TOE-st of our award winning Barefoot Wine & Bubbly for all those who have helped out (for those that are old enough of course!). 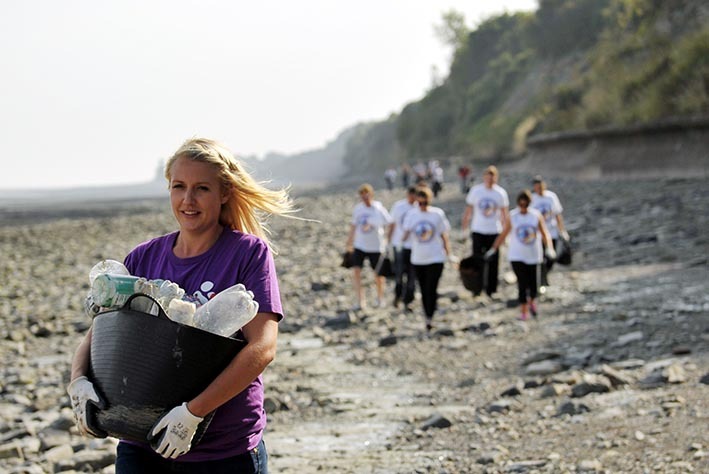 Don’t forget to share the exciting work you have achieved on social media using #BarefootFriendly and if you can’t make it, don’t worry there are plenty of beaches to clean – we look forward to seeing you at the beach! 11 countries. 5 continents.1 day that brings the world together to spread a powerful message.